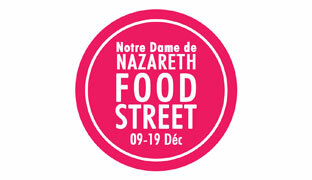 Long extinct, Rue Nazareth is offering its first gourmet event. Restaurants and food shops combine to provide a true renewal to this street of the third arrondissement. Until December 19th, art galleries, concept stores, record stores, bookstores and shops can restore the spirit of village coming alive for a week of fun. B.D.